Looking to start a Limited Company? Choose this package if you are starting your company on a budget and don’t need printed documents or a business address. We’ll email you all the key documents and everything will be set up within a few hours. Choose Gold if you want printed company formation documents to display at your premises and share with stakeholders and investors. Choose Platinum if you want a London business address to protect your privacy – or meet UK business laws (if you’re setting up this company from overseas). You can customise any of our packages to suit your needs. Just choose one of the packages above and then add services during the checkout process. Use our registered office and business address service to trade from anywhere in the world, and the directors can also keep their home address confidential. HMRC have become increasingly cautious over giving out vat numbers. Make use of our service to make an accurate application and avoid delays. A useful service for Ltd companies with overseas directors and also for Public Limited Companies requiring a professional secretary. Why do thousands of people choose eFormations? 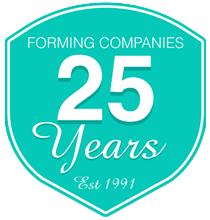 Since 1991 we’ve been helping people like you to start their new venture in the right way. As business people ourselves, we understand the pressures and challenges of running a successful business. That’s why we work harder to make your life easier. Thank you for your efficient service. I was so worried about setting up a company, but your reassuring customer service together with clear instructions on the website made it so easy. I have no hesitation in recommending your service. We have used eformations for the past twelve years on behalf of clients and have never been disappointed by the high standard of service, reliability and professionalism shown throughout. ‘I have used eformations for many years and find the service professional, efficient and reliable. I would highly recommend this company who always deliver an excellent and fast service’. Do I need a secretary to register a company? No. A private limited company is not legally required to have a company secretary. However, it may choose to appoint a secretary for other business reasons. How many directors does a limited company need? A private limited company needs one director. The same person may also be the shareholder. This means that the company can be owned and managed by one individual. There is no upper limit specified for the number of directors. Can non-UK residents act as directors for a UK limited company? Can I keep my home address private? Yes. We provide a full address service as well as telephone answering service for your business. Do you provide an address service? How long will it take to register a company? Average time scale is within a few hours. How will the documents delivered? If you have purchased Silver pack the documents will be delivered to you by email. If you have purchased Gold or Platinum pack you will receive the documents by email and by post. Royal mail 1st class is used to post the documents. Other methods of delivering the documents can be arranged on enquiring. Is a bank account included in my company formation package? We are partners with Lloyds and Barclays Bank and offer a free bank account application process is in each of our packages. We give £50 cash back if your application with the Bank is successful. Please note bank account opening is subject to the client meeting the Bank’s requirements, and is not guaranteed. There are many ways to get in contact with eFormations. Reach out to us anytime, we are happy to help with your enquires. You can use eFormations for every stage of your business journey. After forming your company we can help you manage some of your daily, monthly and annual obligations. © eFormations.co.uk is the internet trading name for Apex Company Services Ltd. Registered in England and Wales, company no. 2596549.